Authors are continually told to show what characters are thinking and feeling through their actions, rather than exposition. But, as discussed in the posts this week regarding romantic scenes and those that depict mundane human actions, sometimes authors can overshare. So what does showing look like when it’s done right? I asked the MissDemeanors to weigh in with some of their favorite examples. 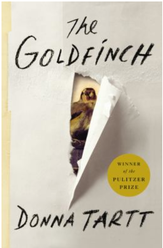 C. Michele Dorsey: My favorite example of showing but not telling comes from Donna Tartt’s The Goldfinch. Almost the entire book takes place after a tragic event in which Theo, our hero, loses his mother. Rather than have him tell us about his relationship with her, Tartt shows us by taking us with them on a cab ride and to a museum. Their conversations and reactions to one another show us who they were to one another and brilliantly bond us to Theo for the remainder of what is a very long saga and book. The flavor of the mother/son relationship permeates the entire book. I’m in awe of how she does it. Of course, it does take Tartt ten years to write a a book. Susan Breen: One of my favorite “showing” examples comes from Silence of the Lambs by Thomas Harris. There’s a scene where the protagonist, Clarice Starling, is talking to Hannibal Lechter. He asks her if she’s injured herself. She’s surprised he knows, mentions that she has a cut. How do you know? Because I smell the bandaid, he says. That shows so much about him. He has extraordinary sensory abilities. He’s creepy. He keeps her off balance. It’s a small detail, but it gets me, and my students, every time. It’s those perfect little details! Robin Stuart: There are so many great examples, it’s hard to choose just one. I think the unreliable narrator is made possible by showing vs. telling. We reveal ourselves more honestly through our actions, regardless of who we may “say” we are. An example is Gillian Flynn’s Gone Girl. Amy tells us who she wants us to believe she is, reinforcing that belief through anecdotes to show us that persona in action, and later slaps us in the face with who she really is. That’s as far as I’ll go on that example, in case there’s someone reading this post who hasn’t read the book yet 🙂 A simple example of the power and engagement of showing, as opposed to telling, is when one character describes another. It’s how we learn who they are to each other. “Jane couldn’t help but notice John was a bear of a man,” is flat. It makes the reader ask “what” questions instead of tantalizing them with “why’s.” What does a “bear of a man” mean to Jane and what did she notice? The only “why” is why the reader should care. “The car sagged under John’s bulk as he squeezed into the passenger seat beside Jane. He slumped down to keep the top of his head from hitting the roof.” Now we see what the author wants to convey, that this John guy is one big dude. We’re engaged as a reader by feeling the car sag. And now we have more interesting questions. Is Jane intimidated or comforted by his size? Are they adversaries or partners? Showing just enough to play fair is how we drop breadcrumbs that lead to plot twists. We place clues in plain view but play down the focus. The movie “Widows” has some fantastic examples, based on a great, twisty book by Lynda La Plante, adapted by Gillian Flynn and Steve McQueen. Anything I say will be a spoiler so just go read it/see it. D.A. Bartley: This is a hard question for me because I find myself ambivalent about preferencing showing over telling. Some writers tell things beautifully. Having said that, I owe you an answer. I’m reading November Road right now. Lou Berney masterfully shows and tells, but here’s a good example of the former: “He unscrewed the lid with his teeth. He shook tablets into his mouth and chewed them.” Even without me explaining anything about the scene, you already know this guy’s in pain, and his situation is so desperate he can’t even get a glass of water. Brilliant. Alexia Gordon: I had trouble with this one. I had a hard time coming up with an example. As Walter Moseley (sort of) said at Crime Bake, if I can spot your narrative device, you did it wrong. I know I’ve read books where the author showed me something about the character instead of telling me but they executed it with such skill, I didn’t consciously notice that was what they were doing. 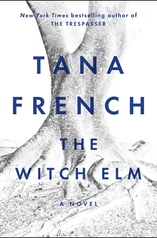 Robin’s remarks about a character showing us their personality through their descriptions of other characters reminded me of the protagonist, Toby, in Tana French’s The Witch Elm. Without coming right out and saying this guy’s a jerk, French does a good job of showing his jerk-ness (jerkitude?) through his self-serving descriptions of others and his surprise at people’s reactions to his bad behavior. By about fifteen pages in, I felt like punching Toby in the throat. Before I thought of Toby, I thought of a person I know IRL who’s a good example of show, don’t tell. (I so want to put this man in a book.) He’s a big guy with a thick Russian accent who grew up in Siberia (no lie), which is a place that makes the South Side of Chicago seem like Utopia. I wouldn’t repeat some of the stories he’s told (except the one about walking to school for miles through the snow–really). He’s also evil-genius smart. (More stories I wouldn’t repeat.) This is not a man you want to cross. His email signature block says, “The Mad Russian”. You think you’ve figured him out, then you stop by his office where one of the first things you notice on his desk is his “meow” mug. He has a handmade pottery mug with a cat’s face and the word “meow” on its side. (Imagine a movie with a Russian kingpin. Then imagine that kingpin ruling over his empire with a meow mug in his hand.) Meow mug? Seriously? The Mad Russian drinks his coffee from a mug with the word “Meow” on the side? Turns out he’s kind, generous, loyal, hard working, funny, and considerate. He’s the guy who will call to check on you if you call out sick from work and offer to bring you groceries. If you need a ride someplace, he’s your man. If you’re short-handed and there’s extra work to be done, he’ll do it. If some creep bothers you in a bar, he’s the guy who’d–never mind, let’s not go there. And the mug? It’s because he likes cats. He and his wife have two between them. (Why does he like cats? Because they’re the only animal he’s never been able to break. This statement is always followed by the story of how his cat won the battle of the attempted cat food change.) He’d be either the perfect Bond villain or the perfect lead detective in a Cold War-era Soviet police procedural. Cate Holahan: I would read about the Mad Russian show or tell, Alexia. And I totally agree with you D.A. on November Road. I read it too and the gangster character is a great example, I think, of showing not telling. You see his heart growing by his actions and not the dialogue. Loved it.